Competency Mapping is about identifying key competencies required on the job. What we see in the organizations today is a paradigm shift to a competency-based HR system. Since every individual is different, having just technical and functional skills as a basis of selection and performance appraisal does not suffice. Where two individuals have similar knowledge and technical skill set, the difference in their behavior makes one more suitable for a job than another. It is this diversity in the organizations today that is making it essential to identify and map behavioral competencies. This is where Strengthscape comes to the picture. We map a plethora of behavioral competencies to predict employee match and aid in various HR processes. 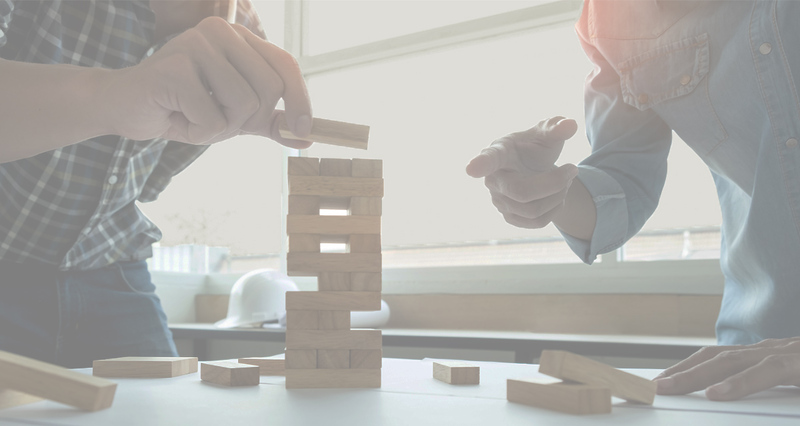 Strengthscape's well-researched, process-oriented Competency Mapping methodology helps organizations adopt a competency-based HR system that is instrumental in achieving success. Our StrengthMapping methodology is a 5-step process. We begin from the basics of articulating job roles followed by preparing a competency framework for each job role. We prepare comprehensive job descriptions to make our competency framework as accurate as possible. As a third step, benchmarking is conducted to aid in gap analysis. We use objective measurement tools along with qualitative interviews and other techniques to assess the individuals or groups. Our final report is objective and accurate with wide implications for various HR processes. We provide personalized reports for individual participants. These reports are simple, easy-to-interpret and visually captivating. 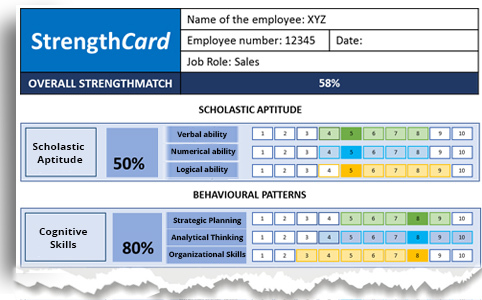 Our personalized report called StrengthCard illustrates various domains of competency assessment. It is an objective report for quick interpretation. The report also highlights gap for further training and interventions.